Washington, Jan 5 (Just News) : The United States said on Thursday it was suspending an undisclosed amount of security assistance to Pakistan, which two officials said was worth more than $255 million, until Islamabad takes action against the Afghan Taliban and the Haqqani network. The U.S. State Department announced the decision, saying it reflected the Trump administration’s frustration that Pakistan has not done more against the two groups, which have long used sanctuaries in Pakistan to launch attacks in neighboring Afghanistan that have killed US, Afghan and other forces. US officials said two main categories of aid are affected: foreign military financing (FMF), which funds purchases of U.S. military hardware, training and services, and coalition support funds (CSF), which reimburse Pakistan for counter-terrorism operations. They said they could make exceptions for money that went to critical U.S. national security priorities. A glance at US budget figures suggest the amounts frozen could exceed $1 billion. ‘Our hope is that they will see this as a further indication of this administration’s immense frustration with the trajectory of our relationship and that they need to be serious about taking the steps we have asked in order to put it on more solid footing,’ a senior State Department official told reporters. ‘We’re hoping that Pakistan will see this as an incentive, not a punishment,’ he added. ‘It’s north of $255 million,’ said one U.S. official. Tense ties between the uneasy allies nosedived on Jan. 1 when US President Donald Trump lashed out on Twitter against Islamabad’s ‘lies and deceit’ despite $33 billion in aid and the White House warned of ‘specific actions’ to pressure Pakistan. 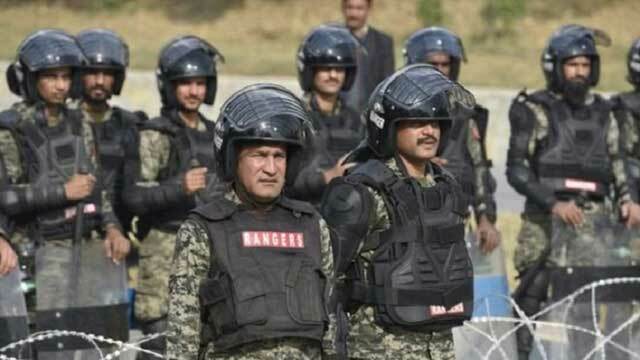 Trump’s frustrations are shared by US lawmakers, who accused Pakistan of playing a double game by allowing militant groups sanctuary—which Islamabad denies - despite promising to crack down on them. ‘What is the plan if they close the GLOCs?’ she asked, using the military acronym for Ground Lines of Communications. ‘What if the Pakistanis shut down the ALOCs (Air Lines of Communications). How do you keep supplying the ANSF?’ ‘Pakistan could be within their rights if they tell us you don’t have flyover rights anymore,’ she added.